Containing an ultra-high 30 percent concentration of pure perfume, this is frankly the most sensual scent in our repertory, shareable by women and men. Its dominant note—earthy, sultry oud—is a treasured Eastern-world wood that’s rapidly gaining ground as a major component of 21st century Western perfumery. We’ve sweetened and updated our precious oud with rose and caramel-like tonka bean, resulting in an exquisite scent that’s a surefire attractant. 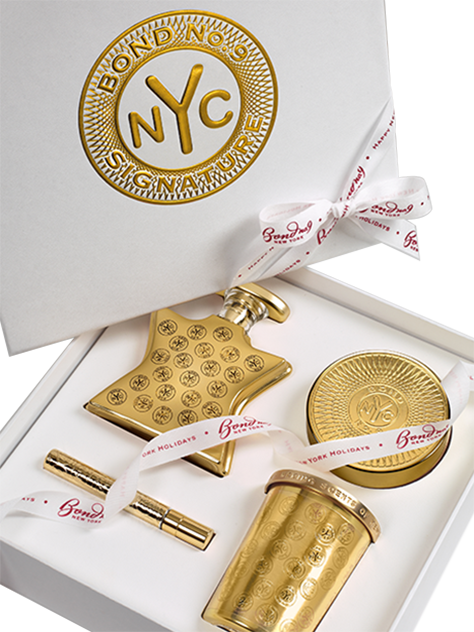 The Coffret holds a quartet of Signature favorites: Parfum, Body Cream, Pocket Spray, and Candle in its glass sleeve.